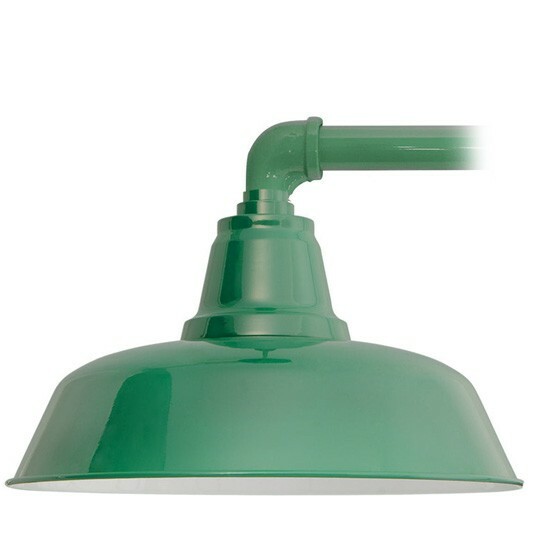 Designed in a classic barn light form, the 10" Goodyear lamp shade in Vintage Green adds elegance to any space it is placed in. Its wide shape allows light to spread broad across its surroundings. The Vintage Green Trim arm complements the Goodyear shade with its graceful, curved design and the pairing creates a wall sconce that suits any decor.